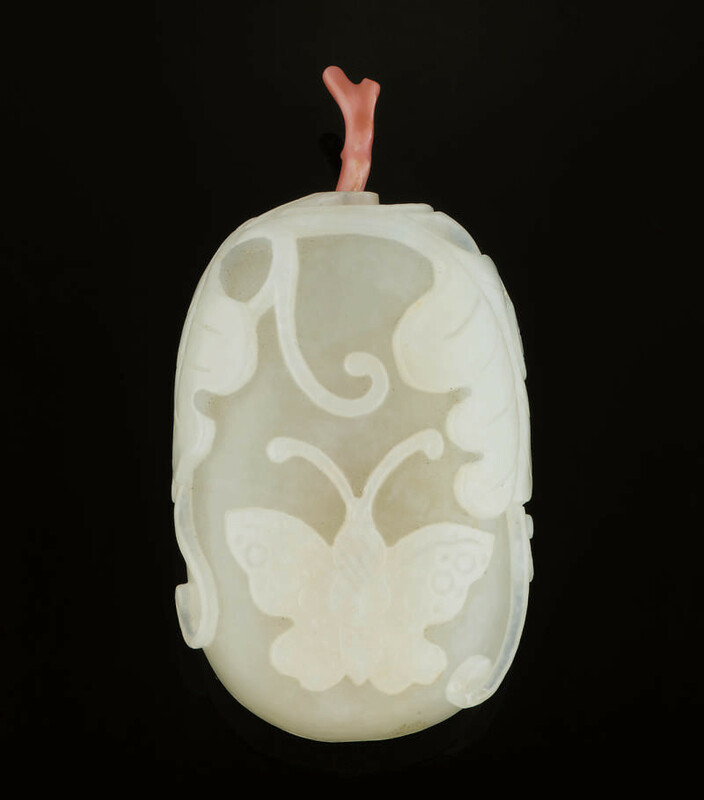 of pebble form, carved in relief with a butterfly amongst large leaves and scrolling tendrils -- 2½in. (6.4cm.) high, coral stopper.